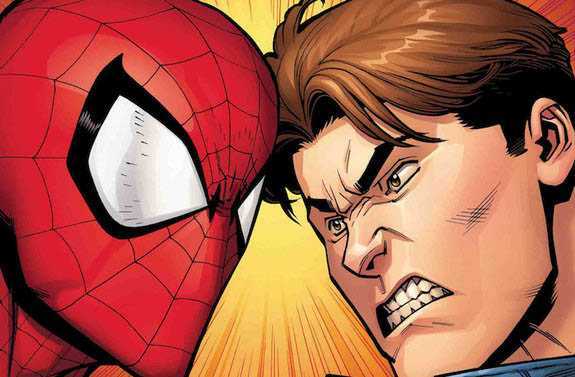 The Amazing Spider-Man #2 closed with a very weird and confusing cliffhanger – Peter Parker was saved by uh, Spider-Man? 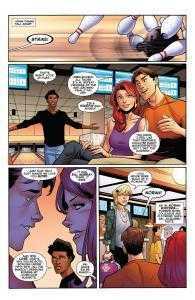 Yep you read that right, it seems as though the isotope genome accelerator has separated Parker and his Spidey alter ego, leaving him free to live a normal life, free of superhero responsibilities…but at what cost?! 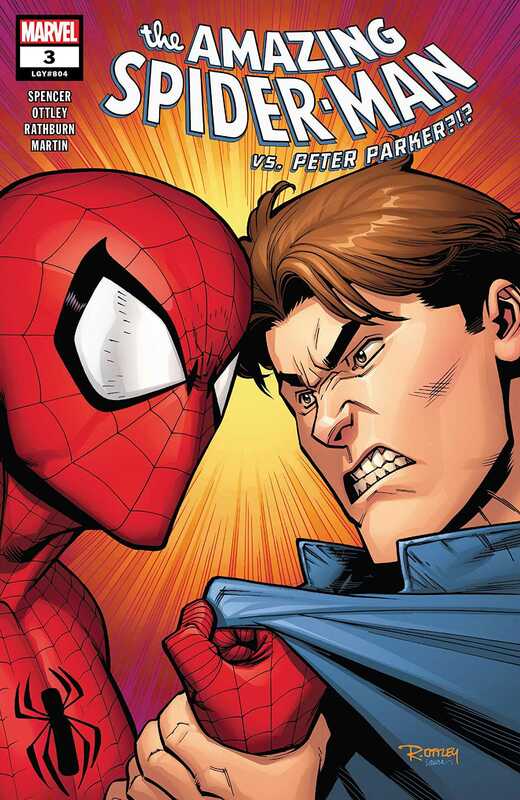 Let’s face it, poor old Parker has been through his fair share of cloning incidents, as well as losing his power on a number of occasions – hell, even his body was even taken over by Otto Octavius in The Superior Spider-Man! So for Nick Spencer to separate Peter Parker and Spider-Man completely is a bold move. 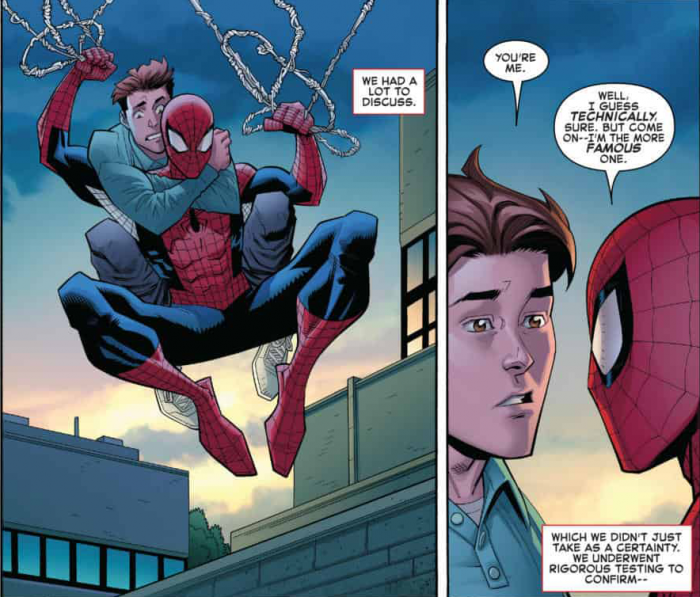 This could be Peter’s chance to finally settle down with MJ and live a normal life, or as he puts it “the light at the end of a very long tunnel full of weirdos in goblin masks”. But I don’t know about you, but my Spidey sense are tingling – there’s just something not quite right about this split. 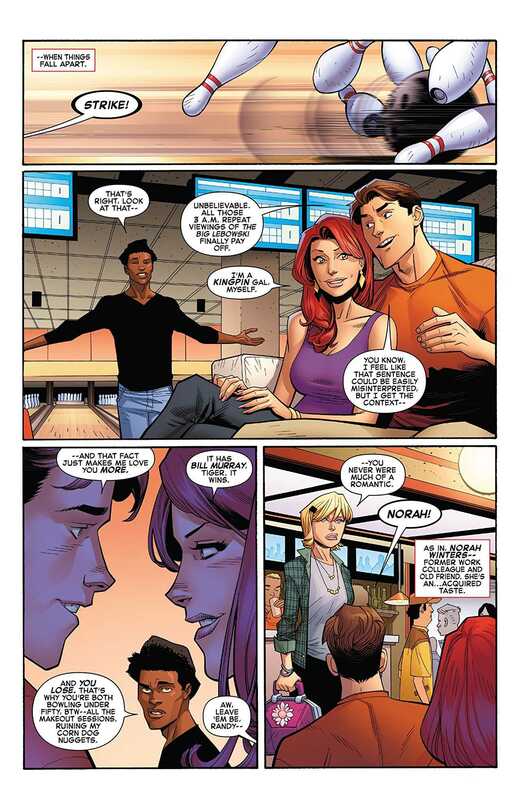 Separation issues aside, The Amazing Spider-Man #3 is once again such a fun read, I just love spending time with Peter, and in this issue him and MJ meet up with ex co-worker Norah Winters and Randy Robertson for a spot of (kind of awkward) bowling. That’s until a Tri-Sentinel starts attacking the city, which would usually be Peter’s cue to leave to save New York, but the new Spider-Man has things covered, well kind of. There were plenty of enjoyable moments in this issue, but my personal highlight had to be Peter trying to adjust to life without powers, as he has to take the subway and get a piggy back from Spider-Man! Ryan Ottley and the creative team once again bring their A-game to the title, with a fantastic and explosive action sequence featuring Spidey taking on the Tri-Sentinel. I also really enjoyed the panels featuring Peter and Spider-Man playing rock, paper, scissors and sticking their tongues out at each other! Ottley has really nailed Spidey; his poses and physicality are continually on point and I love the sharpness of his characterisation. I also really enjoyed panels highlighting the juxtaposition between Spidey’s fight and Peter’s adjustment to civilian life. The Amazing Spider-Man #3 continues to be a fun and classic feeling Spidey story, but I’m a little bit hesitant to see what this Spider-Man is going to do next! It seems as though in the split he lost his sense of responsibility, and I really can’t see this going well. How does the classic Spidey phrase go again? Anyway, I’m genuinely intrigued to see where Spencer takes this and am so enjoying the ride!